In the Land of Fashion we return to speak about art, culture and colors; once more in the streets of Franciacorta Outlet Village there will be the exhibition dedicated to contemporary art. Only for few weeks, from October 4th to November 4th 2018, the last works of Romero Britto express the colors of Franciacorta. After the exhibitions "Pop Lights in Franciacorta" devoted to the teacher Marco Lodola and "Japan Pop in Franciacorta", is born a new and important initiative always devoted to the Pop Art thanks to a cultural process for the great public that can appreciate contemporary artistic expressions in unusual places and for this reason even more involving in transmitting the same message of the Brazilian artist Romero Britto. “Art is for everyone!”. 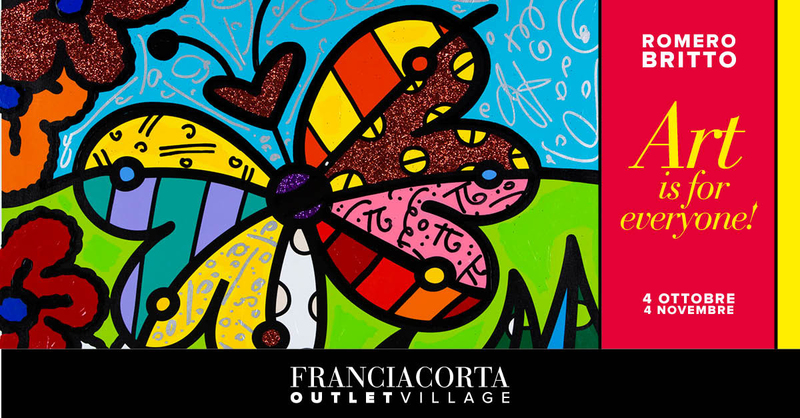 A clear and direct title, a quotation taken by the same Britto that underlines both the universal value of art both the wish to widen the horizons going out galleries and museums to directly reach a shopping center, the Franciacorta Outlet Village. After the exhibition In Milan during the summer, the personal show of Romero Britto is also organized in the Franciacorta Outlet Village in collaboration with Deodato Arte Gallery and there will be also some unpublished works - 3 new sculptures to be exact. The most extraordinary moment will be instead the participation of the artist in an evening event exclusively devoted to the press and the collectors. On October 22nd Romero Britto - famous all over the world for the portraits of famous characters and for the famous collaborations with business brands (from Absolute Vodka and Dolce & Gabbana) - will be guest in Italy to visit for the first time his solo exibition in Franciacorta Outlet Village. Romero Britto will be present there exclusively for meeting all his fans! Don't miss this unique opportunity to meet an artist famous worldwide! 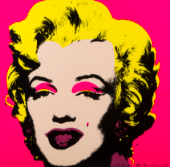 Romero Britto will wait for you! Spring Break: we never stop!